The Penguin Party’s career thus far has been represented by an especially fun variation of the new wave scene or, in their words, “XTC covering Chas ‘n’ Dave”. Led by the tongue in cheek lyrics of singer/guitarist/music show host Dave Milligan, ‘Mesherlek’ is unlikely to win new converts but maintains the usual, curiously affable Englishness. When the first few songs on the album include ‘I Wanna Be A Cult’ (which comes complete with recorded crowd noise and a sitar solo) and a track named ‘Token Tree-Hugging Ecological Song’ performed as a brass band ensemble (“It’s not very heartfelt and it’s not very long”), you’d be absolutely right in thinking this is music that doesn’t take itself too seriously. To hammer the point home further, the Ska-flavoured ‘Do You Know Who I Am?’ is a catchy little number in an acceptable Chas ‘N’ Dave tradition but ‘The Ballad Of Zorro The Cat’ and ‘Let’s Go Down To The Seaside’ are surely a step too far into Vaudeville. Putting the humour to one side though, does ‘Mesherlek’ stand up as an album? There’s certainly a real mix of styles of here but some songs really stand out. Assisted by gentle strings, ‘The Anti Russell Brand’ is unerringly melodic with an ace chorus whilst the infectious ‘Glorious’ possesses a lovely flow (and that’s not a hip-hop type of “flow”, suffice to say). Then later, ‘Trust Games’ is reminiscent of prime period Squeeze and the uncharacteristically moody ‘My Big Bad Self’ recalls early Pulp. 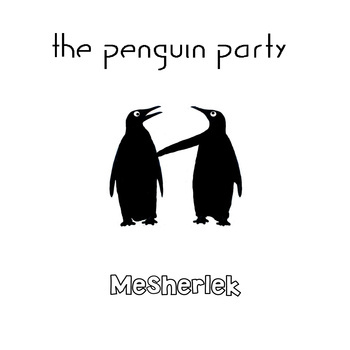 Less consistently satisfying on a musical level than 2008’s ‘See Thru Songs’ but certainly wittier, ‘Mesherlek’ treads that uneasy line between music and comedy but emerges as a strangely lovable beast overall. So it’s a thumbs up to this particular knees up, then.